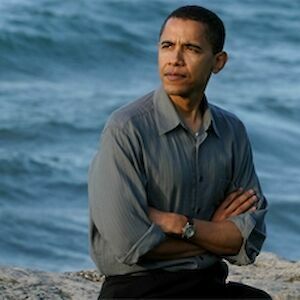 Barack Obama was born in Honolulu in 1961. In his early twenties he found his vocation working among poor communities on the south side of Chicago. Later he went to law school at Harvard University, where he became the first black president of the Harvard Law Review. In 1995 he published his memoir Dreams From My Father, which became a bestseller soon after it was reissued in 2004. After returning to Chicago, he was elected to the Illinois State Senate in 1996. Barack Obama delivered the keynote address at the 2004 Democratic National Convention, and later that year he was elected to the US Senate. His second book, The Audacity of Hope, was published in 2006 and became an immediate bestseller. In November 2008 Senator Obama beat John McCain to become the 44th President of the United States of America. He was re-elected for a second term in 2012. He is married to Michelle, with whom he has two daughters, Sasha and Malia. 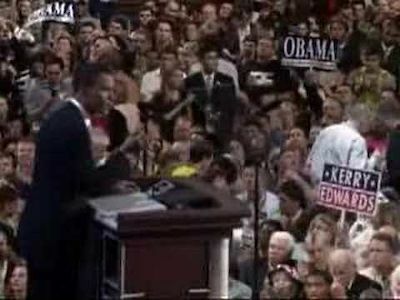 Barack Obama’s speech at the 2004 Democratic National Convention on ‘The Audacity of Hope’, which would become the title of his second book. The full text of the sermon by Jeremiah Wright – ‘The Audacity to Hope’ – from which Obama took the title of his book.